If you’ve been following our Snapchat and Instagram account, you’re well aware of how hard the artists and we’ve been working towards this weekend’s opening of “The New Vanguard” at the Lancaster Museum of Art and History. Opening in tandem with this year’s POW! WOW! Antelope Valley, the murals around town are as captivating as the work inside the museum walls. Click the link below for a printable map of all the POW! WOW! 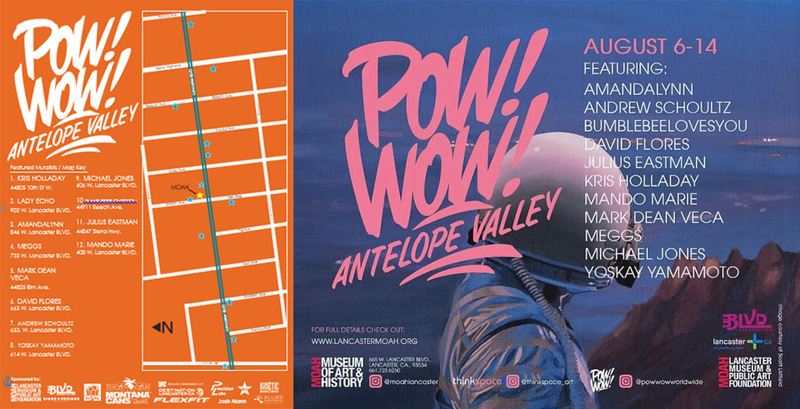 Antelope Valley mural locations and we’ll see you this weekend!